Grain bowl, Buddha bowl, bliss bowl, hippie bowl, whatever you want to call it, they are a healthy, colorful, and easy dinner. Between finishing up work projects, wrapping gifts, making cookies, and other holiday prep tasks, easy dinners have been a must these last few weeks. And, in between all the indulgences at holiday parties, healthy meals also have been a must. Enter this grain-free version of a Buddha bowl. Before I get to the recipe, let's cover some Buddha bowl basics. They are comprised of grains, veggies (raw, sautéed and/or roasted), lean protein (legumes, tofu or meat), greens and seeds -- and topped with some kind of dressing. I read in Instyle magazine a while back that the ratio should 15% lean protein, 25% whole grains, 35% vegetables, 10% sauce, and 30% extras (like nuts and seeds). Really, who's going to be that exact? Not I, I can tell you that much. In my opinion, there are no steadfast rules, just try to keep the meal lean and healthy, focused on the veggies. 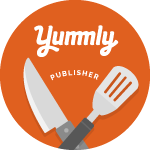 Whether you are vegan, vegetarian, pescatarian or omnivore - pick and choose the specific ingredients within each category that suit you (or in our house, that you happen to have on hand). What sets this recipe apart from the above traditional breakdown is that I decided to substitute cauliflower rice for the grains. I wanted to lower the carbs a bit and honestly, just didn't feel like making a grain. You can easily make your own cauliflower rice or take a shortcut and pick up a package of ready to go pre-riced cauliflower from the grocery store. I used CauliRice from this month's Degustabox, but many supermarkets even make their own cauliflower rice available in the produce section. 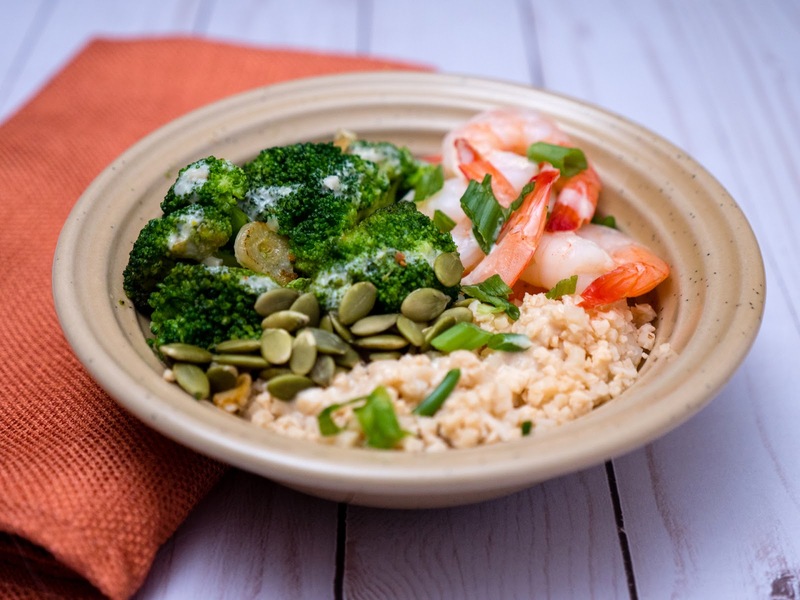 This low carb Buddha bowl is a delicious combination of lean protein, vegetables, and healthy fats. It's a wonderful way to either end the year or begin the new one on a healthy note. In a large saute pan heat 1 tablespoon olive oil over medium-high heat. Add shrimp, season with a pinch of salt and black pepper. Cook until just pink. Remove from pan and set aside. Place the pan back on the heat. Add the sliced garlic and broccoli florets to the pan. Saute until the garlic is golden and the florets are fork tender. While the broccoli cooks put the cauliflower rice into a medium-sized bowl, cover, and cook in the microwave for 3-5 minutes. In a bowl whisk together the tahini, lemon juice, remaining tablespoon of olive oil and water. Season with salt and black pepper to taste. Assemble the bowls. Divide the cooked cauliflower rice equally between two shallow bowls. 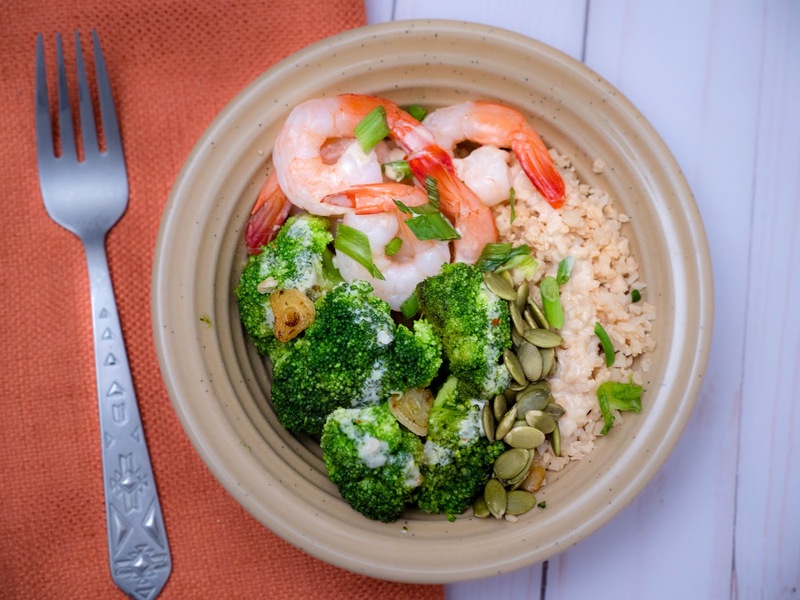 Top each bowl with six shrimp, sauteed broccoli, 1/2 tablespoon pumpkin seeds, 1/2 teaspoon sliced scallions and a hearty drizzle of the tahini dressing. Absolutely delicious, healthy and easy to prepare! It speaks to what is healthy, and delicious!